This bread is so flavorful and delicious. It’s the perfect hearty bread to serve along side a bowl of soup or a salad (or both)! I used a blonde ale for this batch, but you could use different types of beer to achieve variations on this one recipe. Personally, I think an IPA, Stout, or Pumpkin Ale would also be really good at this time of year! I found this recipe on the blog for in.gredients. 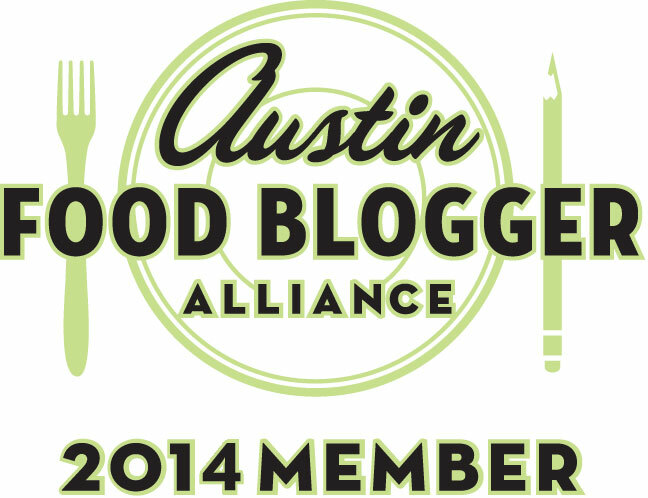 They are an Austin-based neighborhood microgrocer selling local food with pure ingredients, package-free (Amazing concept, amazing store!). The recipe was part of their daily recipe feature that they do. The original recipe comes from Dine and Dish. Both are really great resources and sites! In a medium bowl, whisk together all the dry ingredients. Add beer slowly and stir until fully incorporated. Coat a bread loaf pan with cooking spray. Put the bread mixture in the pan. Pour the melted butter over the bread mixture. Bake at 375 degrees for 1 hour. Remove from oven and let cool for 15 minutes before removing from the pan. Thank you for following the Daily Recipes on in.gredients! I am glad to hear that your beer bread turned out so delicious. A bread with no yeast but beer instead. I’m liking this and will definitely try it! 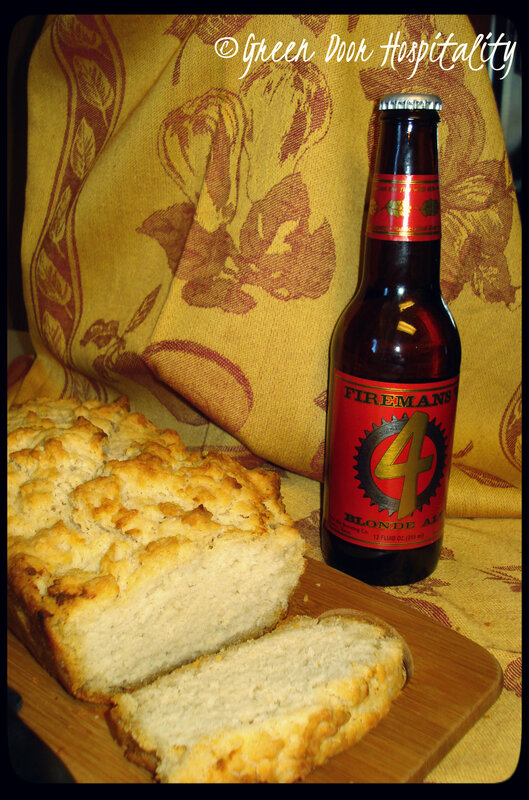 I’ve never tried beer bread, bookmarking the recipe so i can try it when i am home in Montenegro! Oh good! You’ll have to let me know how you like it when you do try it! This is a bread I can make!! Usually I am not so good making bread. I hope you don’t mind, I am definitely reblogging your link on my reblog page! thank you for having put the bread recipe!!! I will do try this weak hahaha!! I just finished eating my second slice. I substituted 1 cup of white whole wheat flour to make it more nutritious. It was delicious. Next time I will use less butter though, most of it sunk to the bottom of the pan and made a crispy, butter-logged bottom which I plan to cut off and use for bread crumbs. Maybe I’ll stuff artichoke leaves with them; that sounds good to me. I’ll make this again with a different beer. Mine was a little bit too bitter for a bread but enjoyable as a drink. I used Sierra Nevada Celebration; an IBU of 65 which I didn’t realize when I bought it. After just finishing my 3rd slice, when the bread was cold, I liked it better. It seems the coldness brought out a sweetness that wasn’t there when the bread was warm. (I usually eat my bread warm.) I love not having to wait for the bread to rise. That is the best part for me! Now I just have to find the right beer! How interesting! I have used beer when making meat in the crock pot in the past but never in bread before. Thank you for sharing! This entry was posted on November 8, 2012 by Jessica Romigh in Breads, Entertaining, Lunchtime Hospitality, Recipes and tagged Austin, Austin Texas, beer, beer bread, blonde ale, bread, dine and dish, Entertaining, food, in.gredients, IPA, Lunchtime Hospitality, microbrewing, pumpkin ale, Real Ale Fireman's 4, Recipes, stout, vegetarian.